There are so many amazing nonprofit conferences to choose from, many more than even just 3 years ago! So trying to figure out which conferences to attend can be daunting. Here are 5 of the most notable, can’t-miss nonprofit conferences in 2017 (in no particular order). Cause Camp is a nonprofit conference by Nonprofit Hub, and I’ll be speaking there for the first time this year! CauseCamp is March 27-28 in Lincoln, Nebraska, at Nebraska Innovation Campus. Cause Camp will leave you inspired, enlightened and give you the action items you need to make a change in your organization immediately. The Nonprofit Storytelling Conference will be in San Diego from November 9 11. This will be a game-changer for nonprofits seeking to tell better stories and raise more money. In just two weeks, Kelly was able to increase the number first-time donors by 4X. Plus, she reactivated 40 lapsed donors and got 14 new monthly donors. Pretty solid results! Details for the conference will soon be available on their website. AFP International is hosting their 54th International Fundraising Conference April 30-May 2 in San Francisco, California. The content is all centered around changing the rules of the philanthropic and fundraising space. Check them out on Facebook and Twitter. 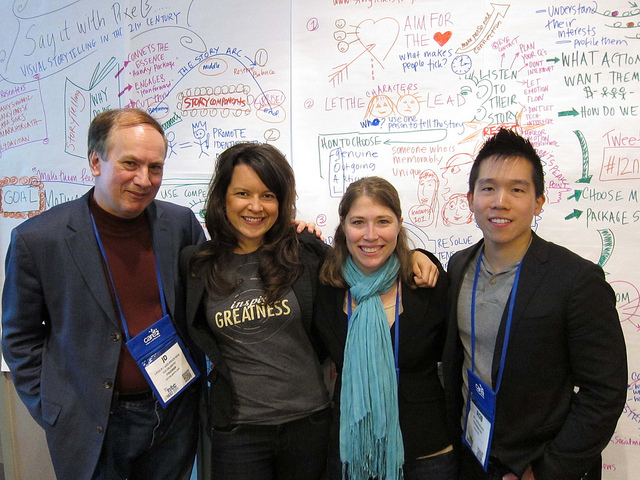 MCON is a fresh take at changing the world. It’s not a nonprofit conference per say, it’s a social change conference. The conference is for people who care about social change and want to turn their interest into action. They’ve featured speakers including Matt Bellassai, Minka Kelly, and several higher-ups of benefit corporations – not to mention Cause Camp 2017 speaker, Derrick Feldmann. Stay up to date with their Twitter and Facebook. The 2017 Nonprofit Technology Conference will be held from March 23rd through the 25th in Washington DC. Over these three days, there will be over hundreds of sessions and networking events as well as an exhibit hall containing the most up-to-date nonprofit products and services. Sadly, I will not be able to attend this year because of a speaking conflict. Stay up to date with the NTEN Twitter and Facebook. Get out there and learn! Getting out of the office and changing up your routines prevents burnout and contributes to your professional growth. Keep these conferences on your radar, and hopefully, I will see you in Lincoln for Cause Camp 2017! John Haydon delivers social web strategy solutions for “the quick, the smart, and the slightly manic.” Curious? Then connect up: Contact John by email, see his profile page, visit the John Haydon blog, follow him on Twitter and Google Plus or leave a comment. This work is licensed under a Creative Commons Attribution 3.0 Unported.